Home / Banner Stories / featured / gma 7 / gma records / mikoy morales / sana / Mikoy Morales Releases Second Single "Sana"
Mikoy Morales Releases Second Single "Sana"
If you are longing for another song that gave you the feels as "Pusong Di Makatulog", Mikoy Morales is back on stage for his second single, "Sana". And it is as every bit as magical. The song is another treat for the insomniac. Those who just stares out of the window at night and sentimentally look at the stars. Corny for some but for Mikoy, there are a lot of us who goes through this melancholic experience at least once in our lives. The bonus is, he is willing to let his music accompany you. But isn't he really afraid to go take the risky route in his music career by still going for the less commercial sound? "Ok lang naman," Mikoy reassures. "I know it is a challenge to get it out there. But sakin lang naman, aside from getting it out there, it is also making a point that for me, we can't just have platform for everything. It's about time na magtawiran na yung dalawa (indie and mainstream music)." It is also with such conviction that Mikoy receives the same support from OPM fans who prefer the not-so-pop genre. 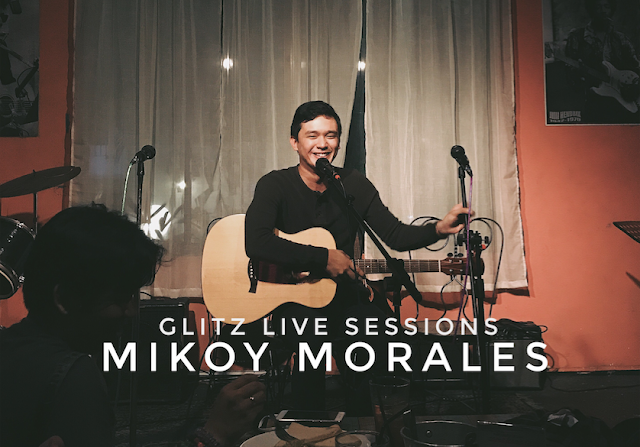 If you're one of these music lovers who supports this kind of music, here's a treat -- the live performance of Mikoy Morales singing "Sana." The song is composed, both music and lyrics, and produced by Mikoy himself. Let us know what you think of the new song at the comments section below. I also attached his live performance of "Pusong Di Makatulog" and our exclusive interview with this young artist.